It is a well known fact that sleep is one of the most important things for a good life. And Sable Maze: Sullivan River tll you a story of some really bad nightmares. You have to go through some terrible reality in order to get rid of terror in your dreams. 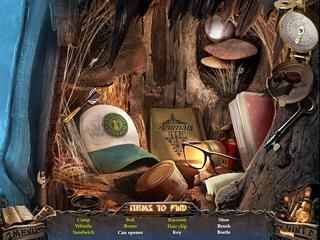 This is a hiden object puzzle adventure game with all the parts being well balanced. You suffer from nightmares where children wander in a labyrinth calling for help. When you decide that you can't live like that any more, you get to face a reality that is just as horrifying. You go to a camp where you spent a summer long ago to uncover the truth about what had happened there and find piece in your own life. The graphics and music create the required atmosphere together. All the locations are very well drawn with much detail. This is a hiden object puzzle adventure game with all the parts being well balanced. Something else that is balanced here is the level of difficulty. 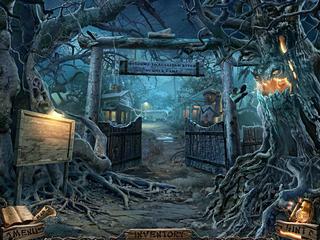 Though, the hidden objects are not very challenging, the overall level is pretty decent. There are also a lot of mini games, that are fun to play. Especially the new ones. Another fun thing to do here is to collect all kinds of stuff. Most of them are rewards for acomplishing a task. All in all the game is pretty great to spend a few hours on it. The story is a particularly attractive part. I needed to post you the bit of note to thank you very much once again for the ftntasaic principles you have featured here. This is really pretty generous with people like you in giving publicly what a number of us could possibly have offered as an e book to help with making some cash for themselves, notably now that you could have tried it in the event you considered necessary. These good tips additionally served to provide a ftntasaic way to know that most people have the same dreams really like my own to figure out significantly more with respect to this condition. I believe there are lots of more pleasurable moments in the future for many who read through your site. This is Sable Maze: Sullivan River review. Download this game here.